The sensor of the Anafi is slightly bigger than the Mavic Air but is tiny nonetheless. Don’t expect to notice a major improvement in terms of low light performance. 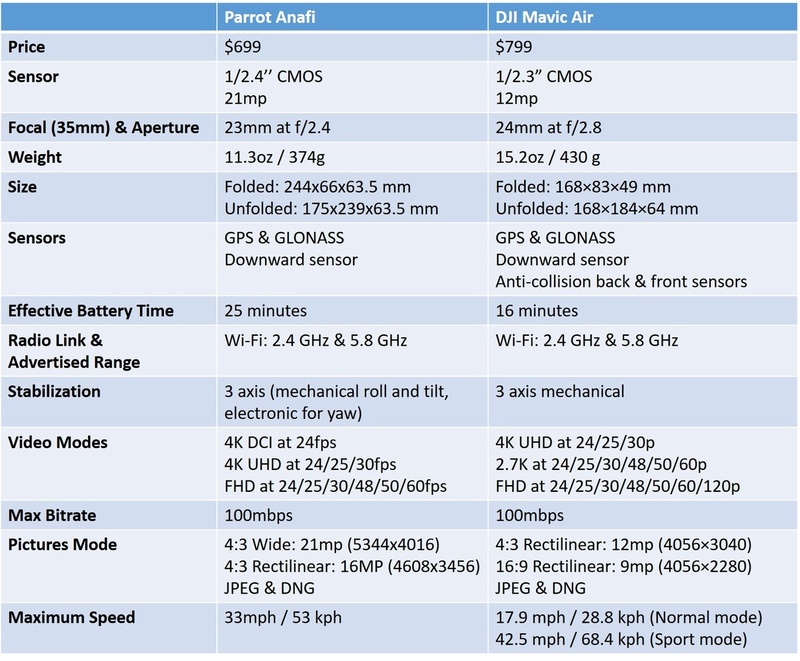 The main difference comes from the resolution and Parrot fitted a 21mp sensor whereas DJI limits the pixel count to 12mp. Why are they cramming so many pixels on a tiny camera? Because the Anafi only comes with a two axis gimbal and it needs a larger sensor area to electronically stabilize the footage on the yaw axis. The first independent footage shown on internet seems to be convincing and Parrot has some experience in this field since the Bebop drones also used a similar technique to stabilize the video. The main advantage of this gimbal design is the ability to tilt the camera all the way up clear of any frame obstruction. But the most interesting aspect of this higher pixel count is the possibility to digitally zoom inside the frame without (theoretically) degrading the image quality. Indeed, 4k video only uses 8mp and there is a lot of room to punch in. According to Parrot “ANAFI’s innovative zoom technology enables up to 2.8x lossless digital zoom in full HD (1,4X in 4K)” which translates in a useable range of 23-69mm in photo mode and 26-78mm in video mode. Video lovers will also notice that the Anafi can film in cinema 4K (DCI) when the Mavic Air is limited to regular 4K UHD. In terms of field of views, both drones are using a relatively wide angle lens: 23mm for the Anafi and 24mm for the Mavic Air. The two drones offer similar frame rates based on the resolution but the Mavic Air reaches up to 120fps in 1080. However the image quality in this mode is very bad and heavily cropped. Finally they both use the h.264 codec with a maximum bitrate of 100mbps but the Anafi can film is HDR mode. Beside the downward sensor, the Anafi doesn’t offer any anti-collision system. Personally, I think that sensors are somehow dangerous as it gives a false sense of security but they may also be useful for beginners. Both aircrafts rely on dual GPS-GLONASS satellite system for positioning. 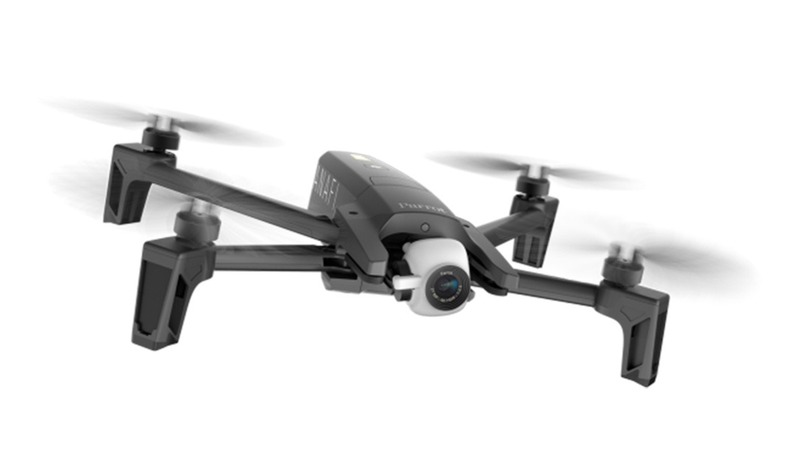 Unlike the Mavic Air, the Anafi is not limited by no-fly zones but the user can setup a maximum distance and altitude to create a custom geofencing perimeter. Overall, the Anafi doesn’t propose as many automatic flight modes as the Mavic and the “Follow Me” mode is only available as a separate “in app purchase” according to Parrot’s website. 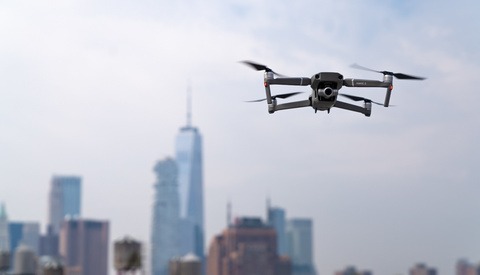 Once again, these drones use similar radio frequency with Wi-Fi connection on dual band (2.4GHz and 5.8GHz) and the two manufacturers advertise the exact same range (4km / 2.5 miles). However, the Anafi might have an edge over the Mavic Air due to the four antennas fitted on the landing gears. With this setup, Parrot created a diversity system that automatically picks up the best signal coming on two antennas out of the four. As for the battery life, the first reviews show that the Anafi can effectively fly up to 25 minutes against 16 minutes for the Mavic Air. The Anafi battery can be recharged via the USB Type-C interface. This is a very aggressive pricing approach since the Mavic Air cost $100 more at $799. I must admit that I didn’t expect anything from Parrot. Its previous drone, the Bebop was less than stellar for the price. However, it seems that the French manufacturer did some really serious design and marketing job to confront the undisputed Chinese giant. 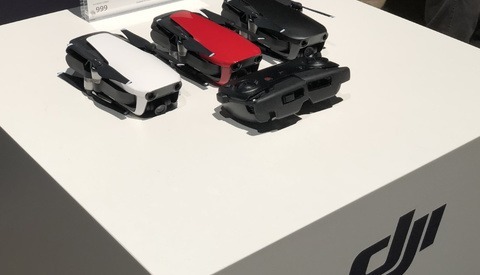 With the disappearance of 3DR, and the withdrawal of GoPro from the drone market, there is virtually no competition anymore and the latest Autel Evo announced at the CES in January has disappeared. Looking at the specifications sheet, the Anafi looks like a decent aircraft that may offer a cheaper alternative from DJI. That being said, the Mavic Air is a proven platform and the Anafi will have to pass the review before we can make any recommendation. 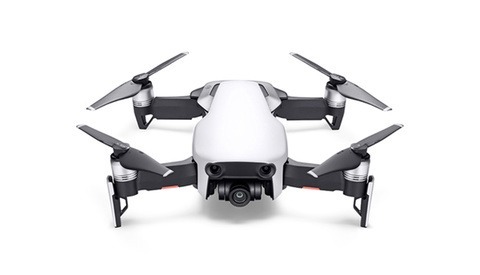 This actually looks very promising: expected similar IQ but with larger resolution (I don't do video so it does matter), more tilt moves (I dearly miss ability to tilt up more on the Mavic), ability to charge from USB, small form factor, very decent price. Wait for reviews indeed! No NFZ ? 21 Mpx camera? 25mn flight? I like the throw and fly function of the Anafi.